HRH The Duke of Sussex will be this year’s Royal Guest of Honour at the 12th annual Lord Mayor’s Big Curry Lunch, which takes place today. His Royal Highness previously attended the event in 2016 and we are delighted to be welcoming him back to Guildhall to support Her Majesty’s Armed Forces, veterans and their families. 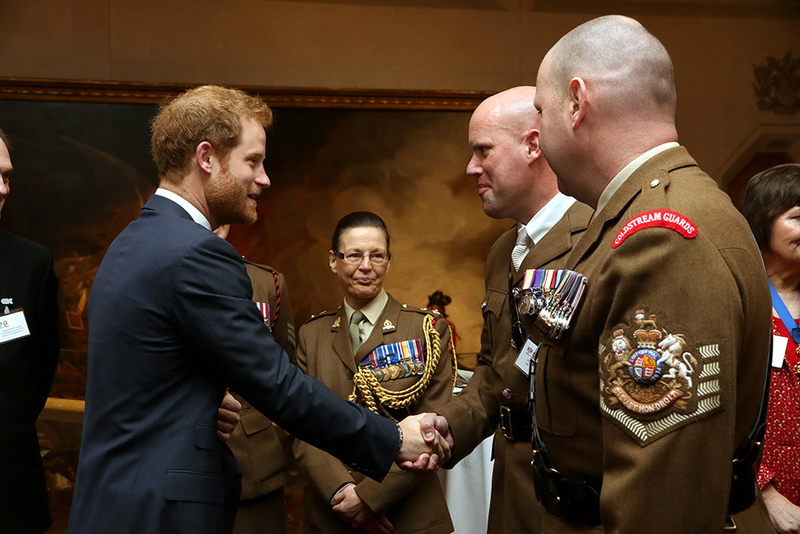 The Lunch this year will hopefully see the event raise more than £2 million for the three National Service Charities; ABF The Soldiers’ Charity, the Royal Navy and Royal Marines Charity and the Royal Air Force Benevolent Fund, since its inception in 2008. Guests sit down for a buffet style lunch that brings together Her Majesty’s Armed Forces, veterans, Charity beneficiaries, senior members from all three Services and business leaders from across London to support our work, including those who served in Iraq and Afghanistan. There will also be a cocktail and champagne bar, silent auction and a prize draw throughout the afternoon. For the next three years, The Lord Mayor’s Big Curry Lunch will link with the Civic and Mayoral theme of employment and employability. As part of our giving we will provide financial support for veterans to take part in a programme designed to help them manage their pain and subsequently find meaningful work. One of the biggest inhibitors to veterans getting into the world of work and sticking at it is pain. The casual factors involved are complex, whether physical or psychological. King Edward VII’s Hospital’s Centre for Veterans’ Health has developed – and tested – a six-month long Pain Management Programme specifically for veterans.